SMG are delighted to announce its latest signing. 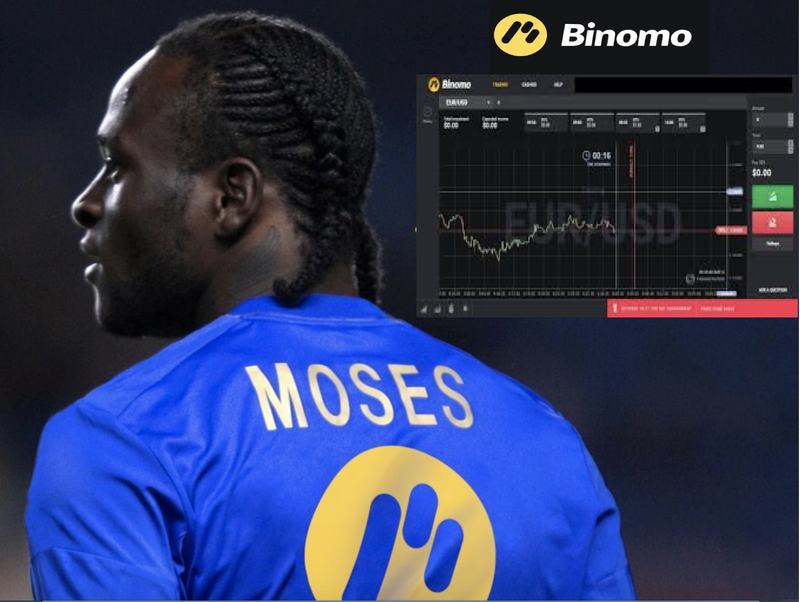 Binomo, (www.binomo.com), the multi award winning online trading platform, has partnered with Chelsea star and the 2018 Nigerian player of the year, Victor Moses. Moses becomes Binomo’s brand ambassador for Africa and Indonesia and will play an integral part in the company’s marketing campaigns in these key territories for the brand, starting with the Forex Expo Africa at the end of March, where Binomo are one of the event sponsors. Moses’ performances for Chelsea in the 2016/17 campaign helped the club to win the Premier League title and ensured their return to European football in the Champions League. He was also one of the key players as Nigeria became the first African nation to book a ticket to the Russia 2018 World Cup where he played in four of the six World Cup qualifying clashes, scoring three times. It’s been a hugely successful period for Moses, who has just been crowned Nigerian player of the year 2018 by the Nigerian Football Federation. He was also voted Footballer of the year at the Nigerian Sports Award in November 2017, for the second time in his career, having first won it in 2013 (a year where he won the Europa League with Chelsea whilst also helping Nigeria to their third Africa Cup of Nations trophy). Both Binomo and Victor Moses are considered at the top of their game and have joined forces to show traders that they, too, can reach the height of success. Following becoming an ambassador for Binomo, Moses said, "Trading with Binomo is secure, accurate, and delivers superior customer service. I am delighted to be involved with such a leading brand." "We're proud of this partnership agreement with a superstar like Victor Moses. We are both number one in our respective fields, on a global scale," added Binomo. Binomo has stood out as a top broker since its inception by offering an incomparable trading experience with a multi-lingual customer service department, the widest array of global assets, and an intuitive trading platform. Offering its traders a customer-first interaction and lucrative, easy-to-use trading solutions, Binomo firmly confirms its # 1 positioning.